Prepare for an onset of advertisements asserting the cleanliness and quality of Canadian marijuana. As marijuana dispensaries emerge from informal networks towards formal supply chains shaped by storefronts and licensed growers, marijuana growers and retailers will increasingly have to sell their product on the basis of quality, cleanliness, and standardization. The process of formalizing the marijuana market has some intriguing parallels to the efforts of Canadian producers and manufacturers to create formal, standardized categories for tobacco at the turn of the 20th century. The tobacco precedent suggests that rigorous standards present a major threat to smaller producers who may see opportunity in the emerging legal marijuana market. Canadian manufacturers and agricultural modernizers sought to form a tobacco industry from the precedents set by Indigenous peoples, as well as the strong tabac canadien that had been raised by French-Canadian farmers in small garden plots. Racist metrics of quality and expertise caused colonial Canadian farmers and manufacturers to largely reject Indigenous tobacco cultivation practices, beyond acknowledging them as a precedent to legitimize tobacco farming in Canada or using racist images of Indigenous peoples, such as the “Cigar store Indian,” to evoke a sense of timelessness for their products. In doing this, Canadian tobacco interests, combined with a federal interest in both regulating and promoting Canadian tobacco for tax and export purposes, gradually conformed to a rigorous classification for tobacco, based on leaf size, colouration, curing methods, and other factors. A tobacco farmer didn’t simply grow tobacco; they grew burley, flue-cured, or cigar tobacco, and even then, a wide range of varieties were selected based on flavour, germination period, resistance to pests, and so on. The tobacco farmer’s success was then judged by the manufacturer, or later, at tobacco auctions, which had complicated grading systems. By the 1960s, a farmer’s tobacco crop was adjudicated by over 60 government-regulated grades, based on colour, leaf location and damage, cure, and other factors. This tendency towards highly regulated, complexly-adjudicated tobacco contributed to the rise of specialized tobacco plantations, requiring considerable capital investment for curing, fertilizers, seed, greenhouses, and labour. The era of small scale tobacco production, where farmers might devote an acre or two of land to tobacco as a side-venture and sell their production directly from farmers’ markets, largely closed. As marijuana further legalizes, the scale at which it is grown will undoubtedly grow. Further, the language of tobacco quality came to be largely shaped by major tobacco corporations and their infamous campaigns, from “More Doctors Smoke Camels” to Imperial Tobacco’s Picobac Tobacco, “Grown in Sunny, Southern Ontario.” The Picobac reference to place and geography will undoubtedly be replicated by sellers of a geographically influenced product like marijuana (the high quality of “B.C. Bud” is long renowned). Perhaps like Coors’ use of the Rocky Mountains, large companies might someday run national campaigns evoking the natural purity of their product source. Given the current federal initiative to legalize marijuana use, marijuana growers are facing a similarly complex grading and regulatory regime. The Final Report of the Task Force on Cannabis Legalization and Regulation, issued in October 2016, made this clear in their section on Production. It recommended that the government be vigorously involved in regulating the tobacco supply chain to enforce a variety of quality, security, and health standards. Laboratory testing for the THC (the active hallucinogenic property of marijuana) and CBD (seen as potentially therapeutic, with no psychoactive affects) amounts and clear labelling of those quantities is recommended. To regulate the production of cannabis, the federal report also recommended that, beyond monitoring THC and CBD levels, that laboratory testing of commercial marijuana also ensures that licensed products “meet specific quality standards” and that regulations further “the good production practices of the current cannabis for medical purposes system.” Translating that, we might expect that the diverse and informal marijuana market will shrink significantly. Rigorous regulation also gradually cut into the informal tobacco market. While there will always be demand for pot from informal channels (to avoid federal taxation, for instance), it seems reasonable to expect that licensed producers, with regulated standards of quality, will dominate. Classification matters because it provides a ready means to enable a language of connoisseurship. For tobacco, this meant that any type of tobacco that adhered to or lacked standards of burnability, taste, texture, and colour could be dismissed as inferior or praised as superior by adjudicators of taste (such as magazine authors, corporate buyers, or consumers). Classification got to the point where tobacco that failed to meet those standards would essentially be dismissed as not tobacco, but as “Nondescript” leaf in Canada. Smith Falls, Ontario’s Tweed Farms promises product “as diverse as the customers that use them,” but still carefully classify their offerings based on strain, THC and CBD levels, and other measurable factors, closely resembling the Task Force’s recommendations. The tobacco case illustrates that these categories can also be readily used by large corporations and culturally powerful connoisseurs to define quality and pressure smaller producers. 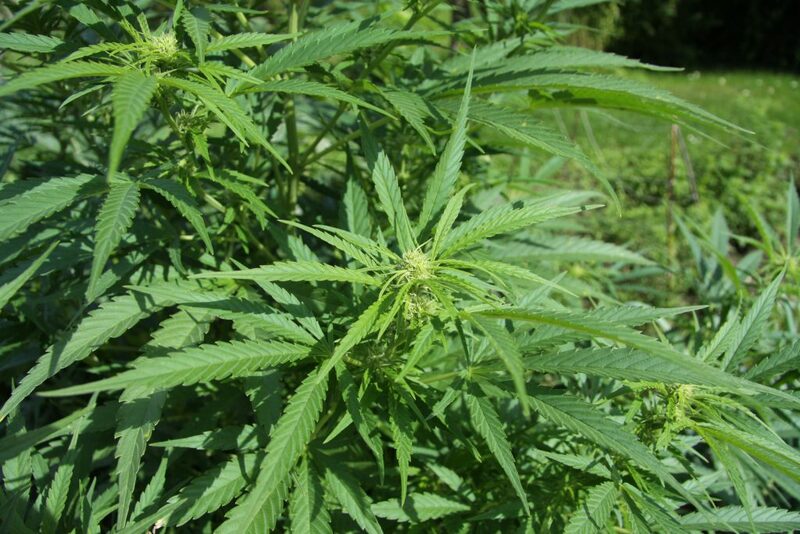 Classification also matters as firms seek to patent or promote particular marijuana strains. For instance, British-based GW Pharmaceuticals has patented a number of marijuana selections. The potential for further patenting and rigorous classification offers a challenge to the Final Report’s aim of maintaining “a diverse, competitive market that also includes small producers” through its regulations. As patents and growing expertise for adjudicating marijuana grow, the potential for large capitalist interests to shape the market grows. One study, drawing on released internal memos, found that Big Tobacco’s interest in marijuana has extended back into the 1970s. The costs associated with developing and patenting particular varietals of marijuana, combined with the tobacco’s industry’s success in developing and enforcing particular standards of quality for tobacco products, suggests that marijuana will be a prime target for tobacco firms. The tobacco case gives us a framework for monitoring the gradual national legalization and regulation of marijuana. Government policy makers must recognize that historical precedents indicate that there are significant pressures favoring corporate takeovers and amalgamation. Regulatory tools for monitoring an industry, such as formal, standard categories, contributed to the concentration of tobacco farming and industry in Canada. If the Task Force call to protect small producers is serious, regulators are going to have to anticipate and counter strong forces seeking to combine small producers. For these points, refer to Jarrett Rudy, Freedom to Smoke: Tobacco Consumption and Identity (Montreal, 2005); I also draw on my dissertation, “From Farm to Firm: Canadian Tobacco c. 1860-1950,” (University of Toronto, 2016). Ernest Small, “Evolution and Classification of Cannabis sativa (Marijuana, Hemp) in Relation to Human Utilization,” Botanical Review 81 (2015), 262. Jonathan McQuarrie holds a PhD in history from the University of Toronto.